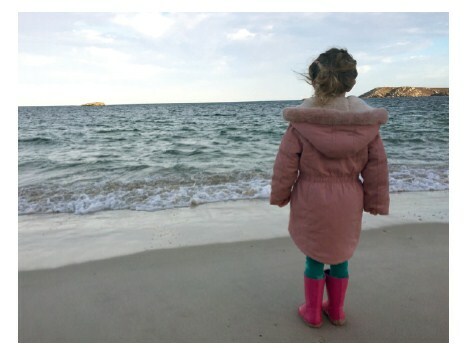 Stepping off the boat onto the white sandy beaches of St Martin’s Lower Quay, with views out to tranquil green seas and uninhabited islands, we took a deep breath of the freshest air and were warmly welcomed to the sanctuary of hotel Karma St Martin’s for a half-term holiday escape. Standing in calm solitude our hotel built in traditional Cornish stone stood watch over wild unbroken vistas across the sea towards the islands of Tean and Tresco. The natural world perfectly framed by large hotel windows set the scene for contemplative breakfasts and snoozy afternoons as we shrugged off hectic London life. Just 120 people inhabit the island of St Martin’s – it remains one of the most unspoiled islands of the six inhabited Isles of Scilly. The remaining 140 uninhabited Isles are a sanctuary for wildlife, a major stopping-off point for migrating birds. There is a magical feel to these Isles, many artists enjoy the creative haven island life offers, including Michael Morpurgo who retreated here to write more than 20 years ago. The sensational wild scenery of the Isles has become the setting for five of his children’s books and we chose the children’s laureate Island Tales for our family holiday reading. As we explored the island we began to appreciate why so many people holiday here year after year. The mild climate and wilderness made our family walk round the island both pleasant and packed with postcard scenery. Blue skies, open landscapes and wilds seas turned our walk into a children’s adventure book for our four-year-old who hates walking. We picked wild blackberries, discovered historic mazes and played on deserted beaches with glittering white sands. A half-term visit has the benefit of being off season and it was two hours before we saw any other people, but even in peak season there is a limit to the number of people who can visit the island as only two boats come in each day keeping the isolation.